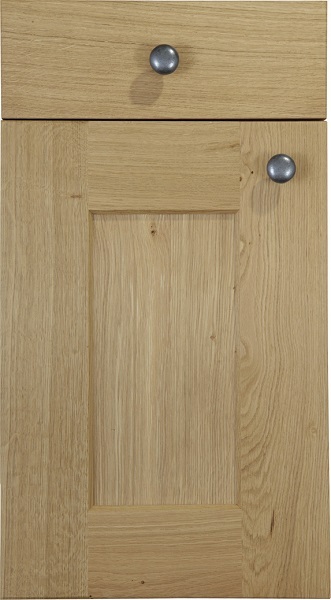 110mm Solid Character Oak frame. Veneered Character Oak flat centre panel. Available in 4mm toughened clear glass.